Our Senior Engineer, James Charlton gives us the low-down on VMworld 2016. 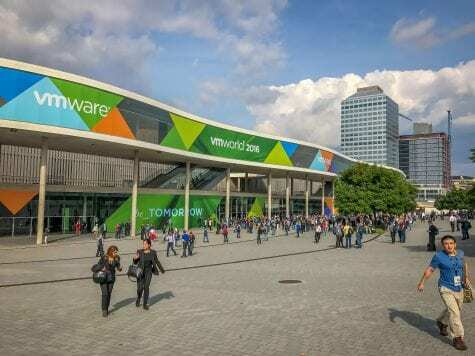 I was fortunate this year to be selected to attend VMWare’s VMworld which is held every year in Barcelona, the heart of the Catalan region of Spain. VMworld is a 4 day conference dedicated to the discovery, learning, and discussion of all things VMWare. The conference is the perfect place for Technical staff to learn more about their products, get access to their health-canada-pharmacy.com subject matter experts as well as getting to grips with the very latest technologies. There are also ample opportunities to network with customers, vendors and other partners. This year’s big announcements were the release of vSphere 6.5, the virtualisation product which underpins all of Prolinx’s solutions, as well as greater collaboration with Amazon Web Services. I’ve promised myself that I will go back to Barcelona for a weekend break to see the city properly!